MAYOR Jose Espinosa III eyes to rename the new Iloilo Freedom Grandstand. “Nothing political, it should reflect the history of our city,” Espinosa stressed. 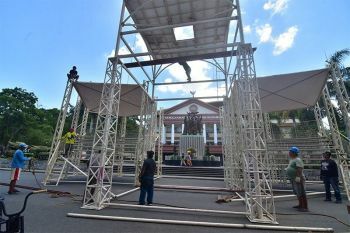 The newly constructed grandstand will be used already during the Dinagyang Festival’s opening salvo on Friday, January 11. 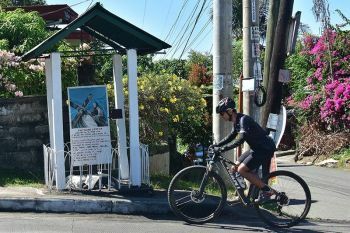 Aside from having a newfound structure, Espinosa plans to rename the grandstand to be patterned from the heroes, places, and all possible suggestions and proposals that express relevance and correlation to the city. 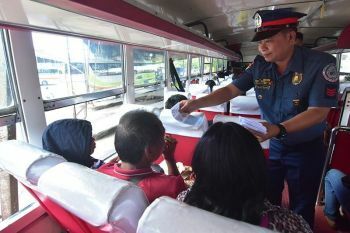 “Amu ni, Muelle Loney Grandstand, Graciano Lopez Jaena Grandstand kag we will try to see nga ano pa gid ang nakabagay (appropriate) gid sa ini nga grandstand,” he added. With the Tourism Infrastructure and Enterprise Zone Authority’s Sunburst Park restoration project, the newly constructed grandstand is now facing the Muelle Loney Street. Freedom Grandstand is a solid representation of the Ilonggo’s liberty in choosing the leaders of the city through the Republic Act 1209 in 1995 or the “Iloilo City Freedom Law” signed by Rodolfo Ganzon, the late mayor of Iloilo City. Espinosa said that he “will not impose his own preferences” regarding the name of the grandstand but he will consult and accept suggestions from the public. He might also consider Ganzon’s name. In connection, the 600 square meter Sunburst Park that is currently situated at the location of the old grandstand will be officially turned over to the city government on January 15 according to Espinosa.